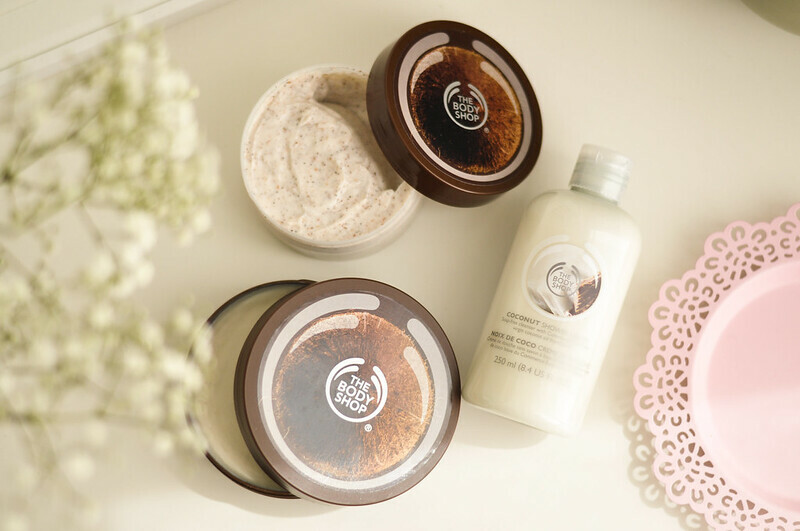 The Body Shop Coconut Body Scrub | £12.50 // | I am a massive fan of coconut scents and this one is amazing. The Body Shop's body scrubs really vary in how abrasive they are and how well they work. There's been a couple, in particular the Chocomania body scrub, that I have really hated. If possible I'd suggest trying them out in store but I tend to make online orders from TBS so can't always do this. The coconut body scrub is one of the good ones though and is abrasive enough to get rid of dry skin without scraping the skin. The formula of this is very creamy and moisturising so a good one if you have dry skin. The Body Shop Coconut Shower Cream | £4 // As this is a shower cream, rather than a gel, it feels a lot more moisturising on the skin and one I tend to reach for during winter. It almost feels like your using a body lotion instead of a shower gel. The only downfall to these shower creams is that they don’t work so well as bubble baths like I use the other TBS shower gels. These also don't lather even with a shower lily but as you rinse it off your skin is left feeling incredibly soft. The Body Shop Coconut Body Butter | £13 // The coconut body butter has a slightly thicker formula than some of the other body butters so it's one I usually save for winter when my skin is at its driest. I will still use it during the summer but I just have to be careful with how much I use so my skin doesn't end up feeling sticky. It almost feels like you've applied a body oil to your skin as it's that moisturising. This also makes a great foot cream or an overnight hand treatment.